We currently offer multiple sequencing platforms including Pacific Biosciences (PacBio)and Illumina. Using these platforms, we have extensive experience working on a diverse array of sequencing projects. The industry standard for sequencing long read fragments is PacBio’s Single Molecule Real Time Sequencing technology. The PacBio systems allow you to directly sequence single molecules of DNA and achieve long sequencing reads with uniform coverage with no bias across GC content rich regions. 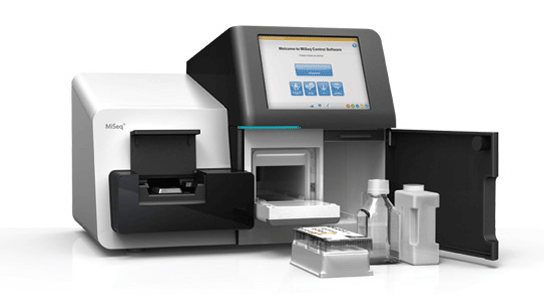 The current leader in the Next Generation Sequencing world is Illumina Inc.
Offering 5 different scales of sequencing, Illumina provides low to extremely high throughput.